A Donvale man is under..
Nick Grant’s house has been partially eaten by Cockatoo’s. 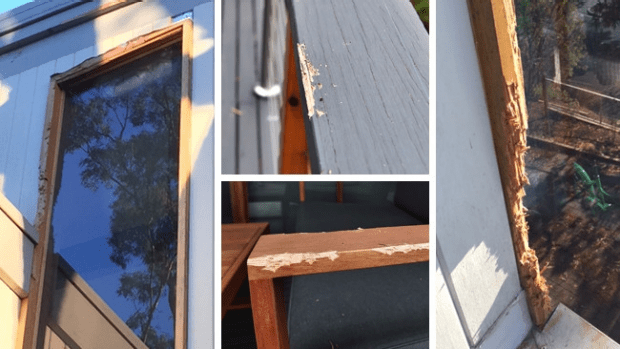 This all started last week when Nick arrived home to find damage to his windows and doors. Nick says they have attacked his Neighbours. Tom Elliott suggested calling Peter The Possum Man. Nick says he has, and the possum man couldn’t believe the chaos.